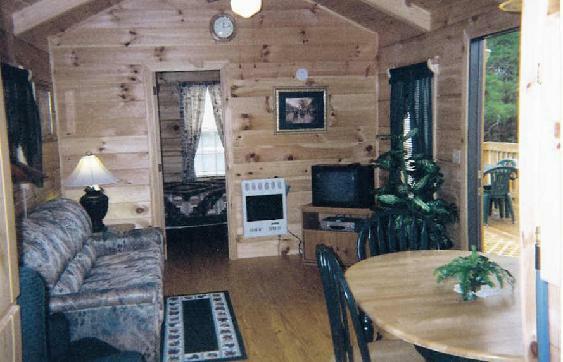 Cherokee Cabin Rentals offer one and two bedroom cabins. We have three bedroom modular type homes also. The modular information and pictures can be found by clicking on the cabins tab. The pictures show the layouts of some cabins and show hardwood floors, tv/vcr, phones, air conditioning, fully equipped kitchens, and all linens and towels are provided. Some of the cabins offer gas heating. A queen size bed is in each bedroom. Some cabins have a small sleeping loft. The loft is a favorite of younger ones.